At Warwick and down through Barford to Hampton Lucy, local clubs control most fishing. The Warwick District Angling Society is open to membership at a reasonable cost and good catches of chub, dace and roach are to be made from their extensive fishery frorri Fulbrook to Charlecote. From Hampton Lucy to Stratford local clubs again control most of the water. No other river of its size in England has so many places of distinction as the Warwickshire Avon. 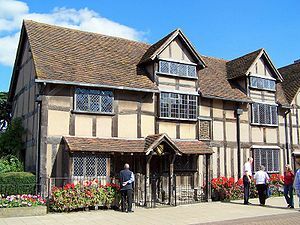 Rising near Naseby it skirts Rugby and passes Warwick and its castle, and Shakespeare’s Stratford-upon-Avon before reaching Bidford. From here downstream to its confluence with the Severn there are the remains of three historical abbeys – Evesham, Fershore and Tewkesbury. Few Midland rivers have suffered more from industrial pollution than the Avon in its top reaches. This still shows to some extent, but downstream from Warwick it has become one of the most popular, and in places prolific, coarse fishing waters in the country, yielding big catches and specimen fish. It also has one other virtue; differing tactics and techniques can be used with success at most venues. The best Warwickshire Avon match weight tops the 75lb mark and was caught at Eckington. At Evesham, the best recorded chub weighed 6lb; the best bream, 8lb 3oz, was from Pershore; the best roach, 2lb 14oz, from Strensham; the best carp, 15’/alb, from Birlingham. Perch to 3lb, and double-figure pike are caught in middle and lower sections. Fortunately, there is a lot of water available and much of it is day ticket fishing. However, the Birmingham Anglers’ Association has large holdings and it would probably be advantageous to the holiday angler to purchase an annual Associate Membership card. They are available from most West Midland tackle dealers. The lido and into Stratford the water is controlled by the Corporation, and day tickets are available from local tackle dealers. site the famous Memorial Theatre, especially for those who fish slightly overdepth with the terminal tackle held back against the current. Below Stratford town the Birmingham A A control a 71-peg right bank stretch called Seven Meadows, approached from the footbridge near the weir below St Mary’s church. Opposite is a fine section controlled by the Hazeldine Angling As-sociation which issues honorary cards. Farther down on the left bank the Birmingham AA have another 52-peg section with fishing also on a small stretch of the Stour which enters at Milcote. The match record here in 1975 was 34lb. On the right bank at Luddington, the Stratford-upon-Avon Angling Society control a very good two mile stretch which is for members only, although annual membership is available. From there down to Welford the waters are club con-trolled except for the small but good day ticket stretch from the Four Alls Inn near the bridge leading from the A439. More club controlled sections follow from here to Bidford. The Birmingham AA have a good section of left bank fishing at Barton where the upstream ‘gully’ pegs are best, and on the opposite bank the Worcester and District United Anglers’ Association, which issues honorary cards, has a good length of productive water at West Hills-borough, reached via the A439. The stretch immediately below Bidford Bridge is strictly members only along the park bank. Below this, though, runs a series of Birmingham AA venues through Marlcliff and Cleeve Prior. Access points are from the B4085 and clearly marked. Downstream at Cleeve is free fishing for Severn-Trent Water Authority licence holders. The water here provides excellent chub, dace and roach fishing. Casters and maggots are the standard baits, but very often seedbaits, particularly tares, yield good sport. The next stretch of day ticket water is at Court Farm in Offenham, on the left bank by the B4510. 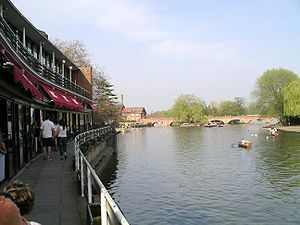 Below, on the right bank the Bridge Inn waters are approached by the ferry at the inn, which issues day tickets. The first class fishing of Evesham is now reached. In the town 50 pegs are available for the cost of a 65p day ticket. Downstream are the famous Hampton Ferry waters on both banks. The match catch record stands at 41 Vab and most species can be found here, even carp. Depths vary from 5ft to 15ft with excellent swims above Abbey Bridge, through the Isbourne confluence, at Hampton Ferry and on to the railway bridge. Day tickets are available at the Hampton Ferry Cafe, and for the town waters from bailiffs on the bank, if a contest is not in progress. More right bank and club contest water is found at Haselor Farm, and from there down to Fladbury the Birmingham AA controls much of the water at Wood Norton, Chadbury Meadows and on the opposite bank Charlton and Cropthorne, and also both sides of Jubilee Bridge in Fladbury. Here club catches of over 50lb have been made from the fence peg on the right bank below the bridge. Downstream, the water is con-trolled by Redditch-based clubs, and Birlingham, the Association has long sections where there are big bream shoals. Downstream Cheltenham Angling Society controls a lot of water all the way through Strensham Lock and on to Bredon. Day tickets are available from the local inn at Eckington, or from tackle dealers. This is the best Avon bream water where catches in excess of 100lb are not uncommon. Such large bags of bream are usually made with ledgered bread flake baits or with worm. For quality roach, float tactics are often very successful. 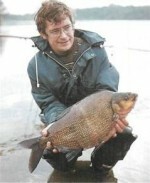 Big eels are also found here, and large chub and carp are often caught by the early morning angler. Along the flat banks at Twyning Fleet and Mythe Farm and at left bank Mitton Farm to Tewkesbury, the Birmingham A A controls more water. 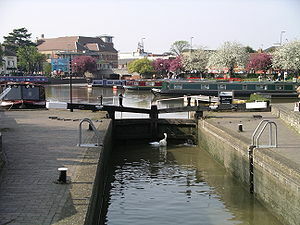 In Tewkesbury itself good sections of the Avon and Severn are controlled by the Tewkesbury Popular Angling Club and day tickets are available on the bank. Farther down to Pershore it is also mostly club controlled. The river noticeably changes character at this stage, changing from a younger, faster flowing river to a wider, calmer, and distinctly breamy water. 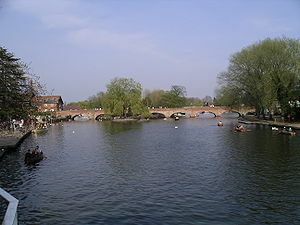 The lower part of the Avon is known particularly for its bream. Generally, the river has many species including carp, chub, roach and dace, and if one is not successful at first with one tactic it pays to switch to another. The Birmingham AA has a lengthy stretch above the bridge at Pershore on the left bank, while there is free fishing on the right bank for licence holders.